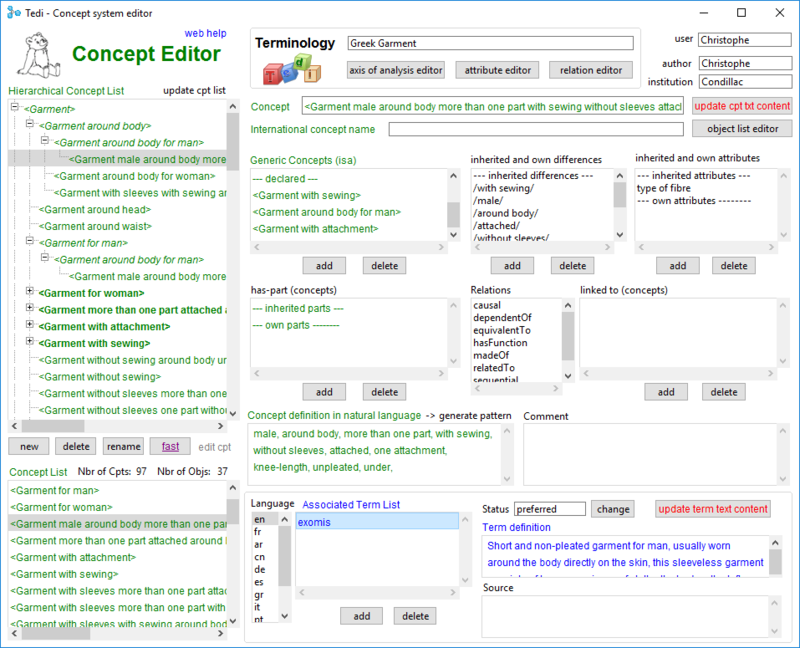 The Concept editor is dedicated to ontology building. 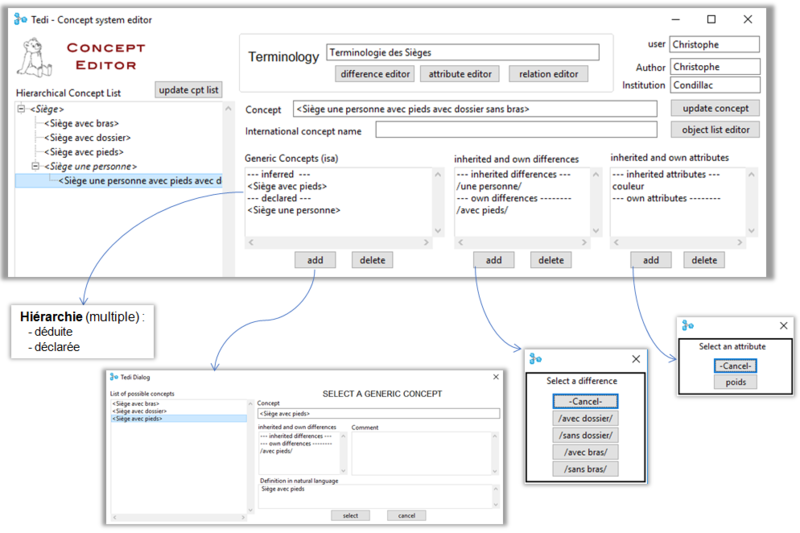 It provides a set of features for the definition of essential characteristics (axes of analysis), descriptive characteristics (attributs), relations (fig.2), and concepts (fig.1). The ontology building follows epistemological and logical principles which provide as many useful guidelines for the experts. Thus Tedi only proposes options which verify the logical properties (fig.3). 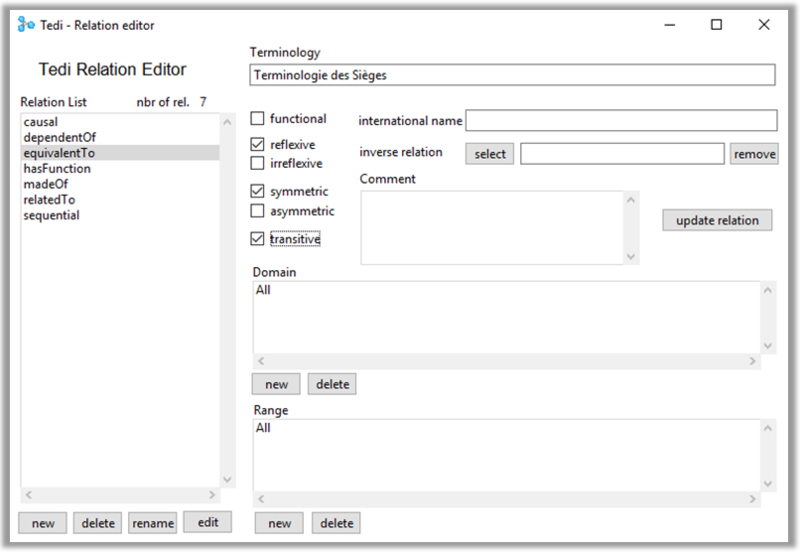 At last, Tedi also offers an Object editor which multiple instantiation in respect of the logical properties. Fig.1 « Multilingual terminology of ancient Greek dress: an ontological approach ». This research has been implemented as part of the Marie Skłodowska-Curie project no. 657868 entitled Chlamys. The cultural biography of a garment in Hellenistic Egypt.